The EPA was originally founded on principles of solid science and a commitment to protecting the environment. For many years, it actually did a lot of good by clamping down on corporate polluters and reducing the contamination of rivers and streams. But today, the EPA is better known as the “Environmental POLLUTION Agency” that spouts totally fabricated quack science while destroying the careers of honest scientists inside the agency who attempt to blow the whistle. * The EPA caused the Gold King Mine large-scale toxic spill into the Animas river, unleashing vast quantities of mercury and other toxic metals into sacred waterways of Native American communities. In fact, the EPA’s extreme incompetence remains a grave threat to the safety of nature and our fragile ecosystems. * The EPA “legalized” the mass pollution of farm soils and children’s playgrounds across America with “biosludge,” a highly contaminated byproduct of raw human sewage and industrial pollution. This product — also called “biosolids” — is currently “recycled” back into the U.S. food supply (via “fertilizer” distribution) despite alarming scientific evidence showing its extreme dangers. See the trailer for my new film “Biosludged” at Biosludged.com and you’ll hear from a former EPA scientist whose career was destroyed by the EPA when he tried to sound the alarm. * The EPA routinely colludes with pesticide companies like Monsanto and Syngenta to grant approval to extremely toxic pesticides that are devastating the natural world (such as the neonics that are decimating bee pollinators). Thanks to the independent media like Natural News, we now know that the EPA actively covered up evidence for decades that linked pesticides to the death of pollinators. Just recently, the EPA approved yet another toxic herbicide (Dicamba) that’s been linked to infertility, birth defects and lung cancer. And even when the EPA is forced to admit that toxic pesticides are killing honeybees, it still allows their widespread use on food crops. 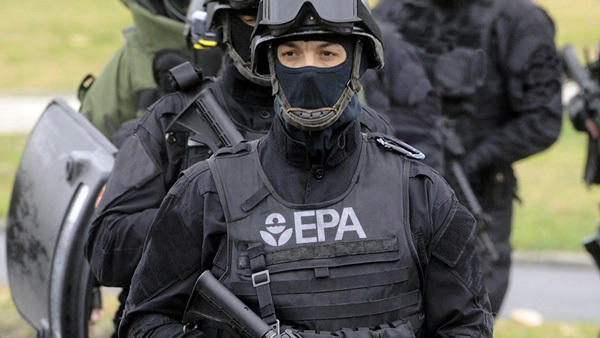 * The EPA runs armed paramilitary “enforcement” teams that stomp around streams and ponds, threatening farmers and ranchers by claiming federal control over every last drop of water that might eventually drain into a river or stream. Quite literally, the EPA spends money on AR-15s, ballistic vests and other paramilitary gear in order to pull off its mission of expanding its power into an armed, unelected bureaucracy of dangerous science quacks. The USDA has used its new military power to threaten people who grow lemon trees; force large fines on people for selling bunnies; confiscate raisins for no real reason; and ruin the livelihoods of small farmers. One USDA SWAT team even seized bees privately owned that were proven resistant to Monsanto’s GMO Roundup and killed all remaining Queens. This shows the incestuous relationship between crooked corporations like George Soros’ Monsanto and government agencies. The USDA is not alone in its abuse of power. The Bureau of Land Management (BLM) and Environmental Protection Agency (EPA) have recently used their swat teams to bully Americans for lobbyist interests or to punish political enemies. I could go on, but the bigger point here is that the EPA is a quack science ministry of environmental B.S. that must be stopped. 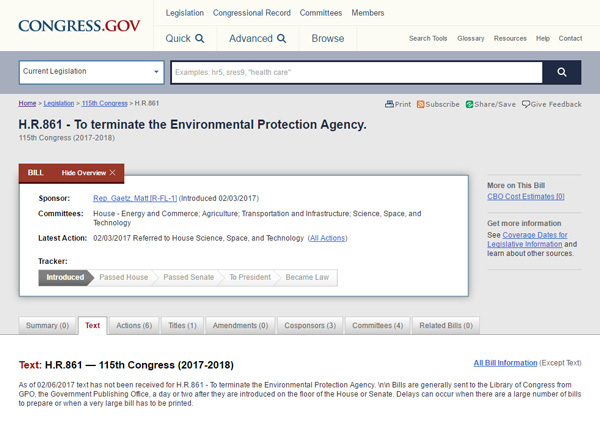 Fortunately for our future, Rep. Matt Gaetz (R-FL) has introduced a bill to terminate the EPA and end its reign of anti-science terror over America. The bill is cosponsored by Rep. Thomas Massie, Rep. Steven Palazzo and Rep. Barry Loudermilk. With President Donald Trump having now nominated Scott Pruitt to head the EPA, it begs the question: Will Pruitt actively seek to dismantle or even shut down the agency’s he’s running? If so, it would be an historic victory for liberty in America. The EPA no longer serves the interests of the American people. It exists primarily to serve the profit interests of poison-pushing corporations while pumping up the climate change hoax for political purposes. While poisoning America and selling out to corporate interests, EPA leaders pay themselves inflated salaries and bonuses while collecting lucrative government pensions paid by future taxpayers. It’s all such a massive, evil scam that the EPA must be shut down to save the environment. This doesn’t mean we don’t need some level of government regulation of polluters, but this EPA as it exists today has zero interest in pursuing that goal anyway. It’s time to bulldoze the EPA and start over. Stay informed about the EPA at EPA.news and EPAwatch.org. 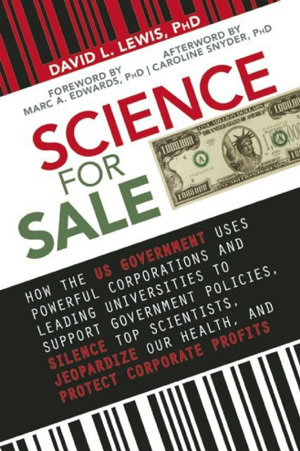 And read the book “Science for Sale” by David Lewis, PhD.